The social commentator shared his views with listeners tuned to the show on Tuesday, June 19, 2018, aired on ZBVI 780 AM. His guest at the time was senior pastor of the Cane Garden Bay Baptist Church, Reverend, Dr Melvin A. Turnbull Senior. 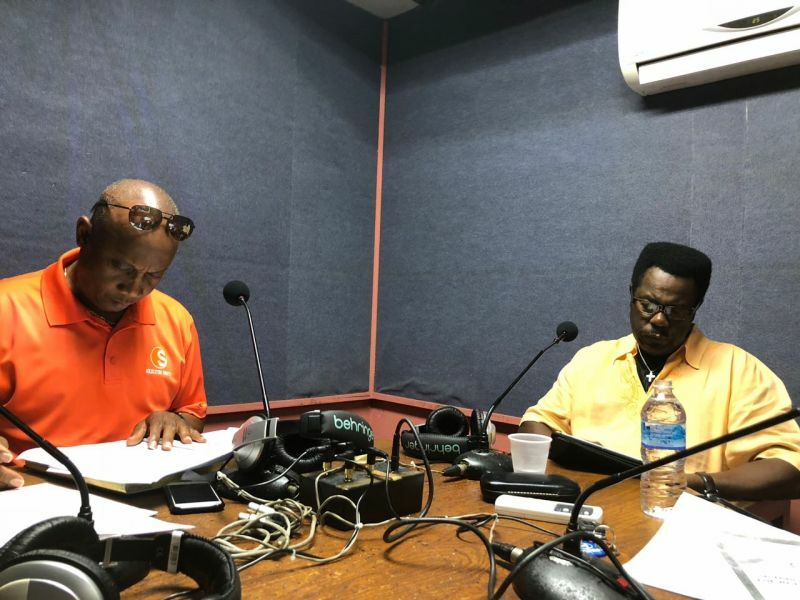 Skelton-Cline—the former Managing Director of the BVI Ports Authority, was at the time acknowledging the service of outgoing Premier, Dr Smith, who only recently announced, he will “not contest nor accept any nomination in his NDP upcoming convention”. Honestly Speaking’s Skelton-Cline used the occasion to express appreciation to the Premier for his 20 years of elected public service—and sacrifice. The radio host also gave particular praises for “the splendid service, he (Dr Smith) has rendered in his medical practice, down through the years” He noted. Skelton-Cline, himself a man of the cloth, has been an open advocate for a leadership change in ruling NDP for over two years now and had contested in 2011 for a seat in the second district on an NDP slate. He said during his radio broadcast, “the fact of the matter is, the Premier has served the Territory to the best of his capacity, he placed his neck on the line for the benefit of the Territory and many persons can talk what they may, but he (Dr. Smith) sacrifice and has made his contribution and for that we should say ‘Thank You’ he added. 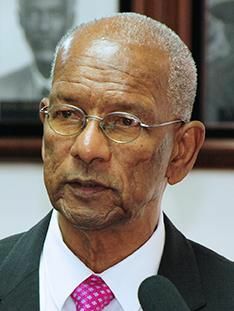 Skelton-Cline, a harsh critic of Dr Smith and his leadership style, had sued the NDP Government over the non-renewal of contract as the BVI Ports Authority’s Managing Director, and now awaits a court decision. Mr Skelton Cline opinion as it relates to oversized ego is funny. This clergyman was part of the same egotistical party until he lost his job at the port. Now theres nothing good about NDP. Your show is very entertaining sir but your audience know your motive. Cline, please stay in your lane. Everything you are saying about the NDP you were or is the same. I agree but so does he!!!! If half the respect people will now heap on Dr. Smith was paid when it really mattered things would be a lot better around here. We the people are the real problem in the Virgin Islands. We are dumb and dark as hell and everyone thinks they are all that. The obstacle course we call government is nothing more than a circus...public servants by and large are clueless...most of them on the job for the 15th and 30th and that's it. Senior Public Servants are some of the biggest obstacles to progress. This cry of NDP has got to go will get this territory nowhere....the system as it is presently is what needs to go and the FCO knows it. This is the first thing the new premier needs to tackle or we will be going around in circles. Time to get serious around here... remove all these obstacles to progress and save the Virgin Islands. Dr. Smith you did what you had to do and you did it to the best of your ability with the support and resources available. just go now and leave them to clean up the mess this country is in right now. Sit on your porch and watch the them bawl when they get in power. You never know where it burns until your foot is in the shoe. This guy talking about over size ego! "Skelton-Cline" if my memory serves me right this guy move back to the VI and changed his name to reflect what! If some one in the party is better able to do Mr. Smith's job then what are they to do, sit by and keep quiet because of loyalty. Choice (leave party, start your own, challenge for leadership or switch party) but accepting poor leadership nah!! !